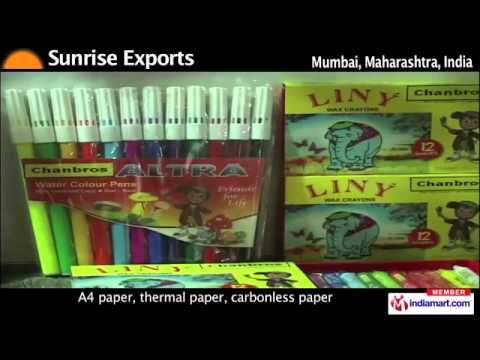 Sunrise Exports is a 13-year old company specializing in the manufacture, supply and export of match boxes, stationery, writing instruments, ball point pens, biscuits, hologram labels, talcum powder and kitchen gas lighters. Our product range includes pencils, colour pencils, pen boxes, sharpeners, scales, holograms, A4 paper, thermal paper, carbonless paper, cardboard matches, wax matches among other things. Our consistent quality has earned us clients across UK, USA, Germany, Russia, Canada, Africa, South America etc.